Panasonic has unveiled several new FH-series models for 2011, including the DMC-FH27 and DMC-FH25. Both of which offer 16-megapixel image sensors, wide 28mm (equivalent) LEICA DC 8x optical zoom lenses, MEGA OIS stabilization systems, Venus Engine VI image processors, and 720p HD video recording. While almost identical in specifications and features to its more expensive DMC-FH27 sibling, the DMC-FH25 utilizes a normal 2.7-inch LCD screen without the touchscreen capabilities. Panasonic's LUMIC DCM-FH25 will be available in silver, black, red, blue and violet. 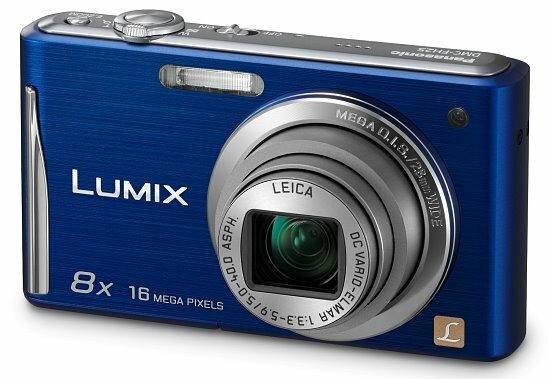 Pricing and availability for the Panasonic LUMIX FH25 will be announced 30 days prior to shipping date.